Chinese New Year is the longest and most important festivity in the Chinese Lunar Calendar. 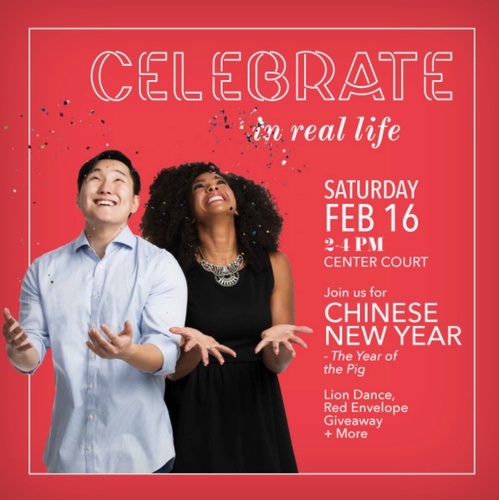 Stop by Center Court and help us celebrate the Lunar New Year! Enjoy Lion Dance, Red Envelope Giveaway and MORE!